At Supreme Court Hearing, Much Ado About Judge Brett Kavanaugh – Is It All Just Hot Air? WASHINGTON (CNS) – The four days of Senate confirmation hearings for Supreme Court nominee Judge Brett Kavanaugh were as heated as the unusually high temperatures in Washington during this first week of September. Richard Garnett, professor of law and political science at the University of Notre Dame, said he has watched confirmation hearings for at least 32 years – which he admits makes him somewhat of a geek – but he described this particular hearing as “the worst I’ve ever seen” not only for the interruptions and protests, but also the “grandstanding and misrepresenting” a judge with a long paper trail of decisions – including over 440,000 public pages of records. He also pointed out that half of the Supreme Court cases are not the 5-4 decisions, or cases about hot button issues. 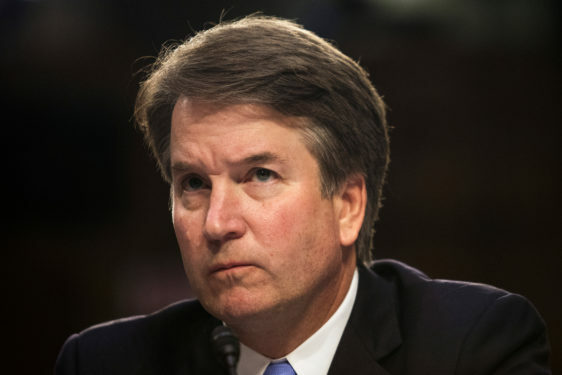 Similarly, Michael Moreland, professor of law and religion at Villanova University in Pennsylvania, said he thinks there is “a tendency to overstate how much change” Kavanaugh will make to the court. Moreland described Kavanaugh as a well-regarded judge and smart lawyer who performed well under the pressure of the senate hearings, which he describes as good civic lessons. In the hearings, Kavanaugh affirmed that Roe v. Wade and Planned Parenthood v. Casey are “an important precedent of the Supreme Court.” He also said Sept. 5 that being able to “participate in the public square with religious speech” is a part of American tradition. When pressed by the senator about his view on a woman’s right to choose, he said: “As a judge, it is an important precedent of the Supreme Court. By it, I mean Roe v. Wade and Planned Parenthood v. Casey. (It’s) been reaffirmed many times. Casey is precedent on precedent, which itself is an important factor to remember. That same day, when he was asked about religious liberty by Sen. Ted Cruz, R-Texas, Kavanaugh said: “In other countries around the world you’re not free to take your religion into the public square” and can only practice in your own home. “Being able to participate in the public square is a part of the American tradition. I think as a religious person, religious speech, religious ideas, religious thoughts, that’s important,” he said. “We are all God’s children. We are all equal,” he said. The committee could vote on Kavanaugh’s nomination Sept. 13, after The Tablet went to press, but it could also be delayed, making the final committee vote take place Sept. 20 followed by a full Senate vote the next week.